Note--I spoke in support of the Class Size resolution and defended it when it was misrepresented from the dais with a ridiculous strawman argument. I did not take notes while I myself was speaking, and they are absent from this report. I will have much more to say about it very soon. Secretary Howard Schoor—welcomes us, said there are no speakers. Question—in response to my question last week. Ellen Procida, grievance dept.—Gives background on class size—When we first negotiated there was a list of exceptions. In 1996 board was continually relying on exceptions. Argued they were becoming the rule, and now cannot be relied on for more than two terms. Now schools can rely on them for two years, and they then have five days to come into compliance or propose an action plan. Arbitrator may find it reasonable or not. Last year, we decided that action plans were becoming the norm. We chose a school in SI to try to get them to say action plans cannot be the rule. Arbitrator told union and board to come up with resolution. Part of resolution was that we have now created class size labor management committee. Between day 13 and 20 Board and UFT will meet. We are meeting Wednesday, with list of 19 schools. Language requires people with authority attend. Will try to come up with long and short term solutions. If we come up with something it’s good, if not we can still go to arbitration. This school year 478 schools, 220 scheduled for arbitration, but # of classes down. LeRoyBarr—Chapter leader stipends go out this week, will get before new year. Albert Shanker scholarships applications due by first of year. Exec Board January 9th. Michael Mulgrew—permit approved for march on Washington, we had already reserved buses, 150 slots ready to go. Evaluation deadline this week. Trying to get it done, Very close. Important to us that if we measure student learning it must be measured on what we are already teaching. Based on existing curriculum. We have groups of schools that have done this work and believe we can pass in terms of rigor, with portfolios and self-generated tests. Thinks we will be done this week, and will get info out. Will be borough meetings before next DA. Wishes us happy holidays. Says we will need a rest. Thank you all. Schoor—mayoral endorsement committee meeting tomorrow. Marcus McArthur—MORE—abusive administrators—We have had several good meetings. First, what movement have we made on individual cases. Second, one thing we didn’t come to consensus on was whether we would publish names of chronically abusive admin. Can we let members know we are fighting for them? LeRoy Barr—We did meet and out of five or 6 schools that came up, I am aware of every situation. We are continuing to fight back. I went to troubled school, CSA and DOE and superintendent showed up. I can tell you all stakeholders were at table, and people are trying to do a reset, mostly about relationships. Potential is for things to be better. We will continue. About putting names in paper, we’ve done it before, but every situation is different. If we have to get to that point, we will, but first we’re trying to work with people to resolve issues. Nothing off the table. Evelyn de Jesus—I work with Ls, just want to add I will be visiting 391. They have a lot of Ls and we will look at language acquisition policy and try to help and support. Jay Futterman—Para rep, last two weeks members ask about PD hours. De Jesus—My department can do PD, DOE not approved, we will do modules with AFT and build team. List online at Teach NY. If they bring someone in from outside you have to check. IN UFT my dept. and the Teacher Center. We can go to your school if you need it. Building capacity. Contact my office. Law says 5 years from July 2016. Kuljit Ahluwalia—New Action—Teacher’s choice—shorter window this year. Why? Schoor—Doesn’t know, will find out. DeJesus—started in August and it’s about the same time. They have to get everything in. Schoor—Brought it to deputy chancellors, said they never heard of it, in interim forwarded press releases. They are now aware. We are on record in opposition. Rona Freiser—At Queens UFT we have been involved since it began. When she was brought in bells and whistles went off. We were there and talking with superintendent. We were appalled. Alerted central. Great school, alumni irate, some politicians. 100 parents at PTA unanimously voted for removal of both principal and Elaine Lindsey. We are working with CL. Has article 2 grievance tomorrow. We won’t leave that school w/o satisfaction. Janella Hinds—James Vasquez, Anthony Klug and I visited. Watched students do homework while they protested. We support them, their parents and alumni. We will stay with them until the end. Janella Hinds—On Saturday HS Division hosted bowling party with students in temp housing with WIN program. Many never bowled before. Was great for those of us who attended. Had great time. Delegates generosity made us able to give them gift cards and movie tickets. Look forward to academic work with them. Schoor—Told deputy chancellors I didn’t understand how this could happen to one of very best schools. No answer. Legislative Report—Paul Egan—Reports on football. Politics—In Senate District 5 Marcellino won by 1500 votes. Going into senate with 31 GOP 24 democratic, 7 IDC, one Simka Felder available to highest bidder. IDC could put Dems in charge, don’t hold your breath. COPE numbers increased, must keep on pushing, fewer than half contribute. Constitutional convention could be dire. Better not to trust folks in Albany. PowerPoint available for use in schools. Over 70% of NYers have no idea what it is about. Teacher’s choice—please spend money or it goes back. Hurts lobbying. Janella Hinds—We have seen in many schools elimination of UFT cafes. Perfectly beautiful spaces and during Bloomberg admi were told they weren't viable. People need space. This speaks to need for that space for duty free lunch. Ask for your support. Schoor—Anyone want to speak against? No. Question called. Evelyn de Jesus—Many look like me, or are related to me. Mayor promised NYC would be sanctuary city. We will advocate on behalf of our 345K children. Please approve this. 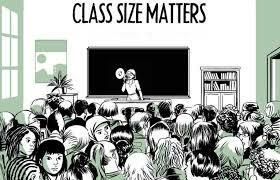 I introduce class size resolution. Speaker against—Ellen Procedo—Not because class size isn’t important. We have people working on this. What we do not understand is—We are aware of school that is raised. Compliance call scheduled for Thursday. To correct is not the arbitrator’s action plan. It’s the board’s plan. ?—Worked in grievance dept. Wants to address one whereas—describes plans of action—not one type of action plan. In some cases a teacher may be relieved of a C6. Paras may be assigned to support teachers. ATRs may be assigned. Based on what DOE can do, if school can’t open a new class, too bad. Labor management committee selected 19 schools. We have opportunity to discuss these 19 schools. All stakeholders involved. Doesn’t make sense to dismiss arbitrators due to bad decisions. This arbitrator brought us lesson plan decision. Janathan Halabi—New Action—Resolution seems to have two big parts, one is class size. Look at question of class size in general. First resolved talks about vigorously enforcing existing contract. Other resolved discuss research over years and we have CFE decision that Bloomberg subverted. Getting us back on right horse trying to make class sizes smaller is the more important thing. This is main thrust and worthwhile. Sean Rockowitz—Says process works. My school is in compliance. Joint Labor Committee designed to oppose. Ashraya Gupta—MORE—We’re already doing this. Important we name the things we believe in. Glad we are reserving 150 seats, but we should build on a chapter level. In addition to sending folks to DC we want to advocate against bigotry and for our students. Important to think about members who can’t go, but want to be active. This resolution does that so I hope you will support it. Paul Egan—To avoid an argument that has taken a lot of time, would like to amend, get rid of 1, 3, 4, 5, and last line in 6. Gets us into quagmire we don’t need. Let’s keep it simple clean, and not get distracted. LeRoy Barr—Wants to strike word all, also strike everything in its power to defend. We have to be careful when we say “all.” We can’t send all of our members and families. Have to be careful with language. We support going down, but need to make technical changes. Ellen Driesen—Wants to strike whole thing. (I laugh out loud.) Thinks it needs to be reworked, and not on the fly. Schoor—If you have motions and give them at last moment it needs very careful attention. Janella Hinds—In favor of both amendments. Builds on Respect for All Resolution. Important that we do that work. Important we do that work in DC and here. 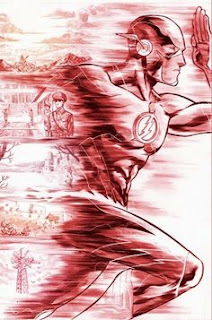 We can cut to chase and eliminate polarizing statements. Marcus McArthur—MORE—Obviously the elephant in room is there is polarization in our union and country. We debated including Trump’s name. Same issue we’re dealing with tonight. We can’t sweep it under rug. We don’t need to demonize anyone, everyone is complex in political decision, but facts of who Trump will nominate say he will undermine interests of all UFT members. For us to engage our members is something that we need to commit to. They need to understand implications of his presidency. Leroy Barr—Believes Marcus is correct and we will have to go after Trump. Being so close to cycle, to emotional reaction, we need to use this as education process. When Obama was elected I was proud to take my son to vote. Obama did things not in best interests of education. Still proud he was President but we called him out. Let’s understand what really happened and why people did what they did so we can connect with them again instead of pushing them away. I believe over next four years you will have ample opportunity to say Trump’s name. We will engage him the same way we engaged Obama.